Win a FREE Martin Guitar at Gainesville Open Mic Done Right - Nothing To Buy - Just Sign Up To Win! WIN A BRAND NEW Martin Dreadnought Acoustic Guitar! We have already given away NINE brand new Martin acoustic guitars ... Previous winners posted below! No purchase required - each night that you sign up to play - you can enter for another chance in the FREE Martin guitar* prize drawing! The most recent Martin Guitar Giveaway was held on June 14, 2018 and the winner was Charles Overstreet! The next drawing date will be at the "Open Mic Done Right!" - date to be announced*. The more nights that you sign up to play - the more chances you have to win! NOTICE: "Open Mic Done Right" has retired! Our very last show, the final farewell, was held on Friday Sept 28, 2018 at Loosey's Pub in downtown Gainesville, Fl. In the course of "Open Mic Done Right" we gave away nine brand new Martin acoustic guitars plus three other cool guitars including a vintage Yamaha 12-string. 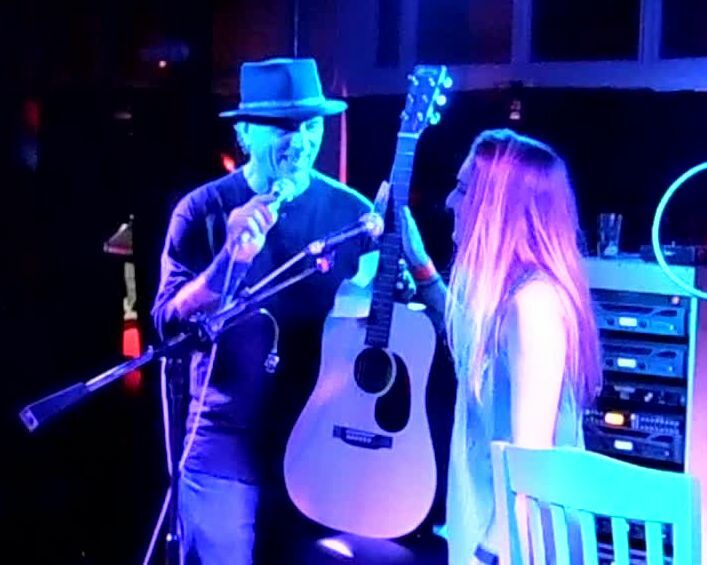 *Winner does not need to be present at drawing to win but MUST be present to pick up the guitar in person at "Open Mic Done Right" the following open mic night. If the drawing winner is unable to pick up the guitar in person - they will be disqualified and a new winner selected. Winner of first Martin Guitar - Eddie Jacoby! 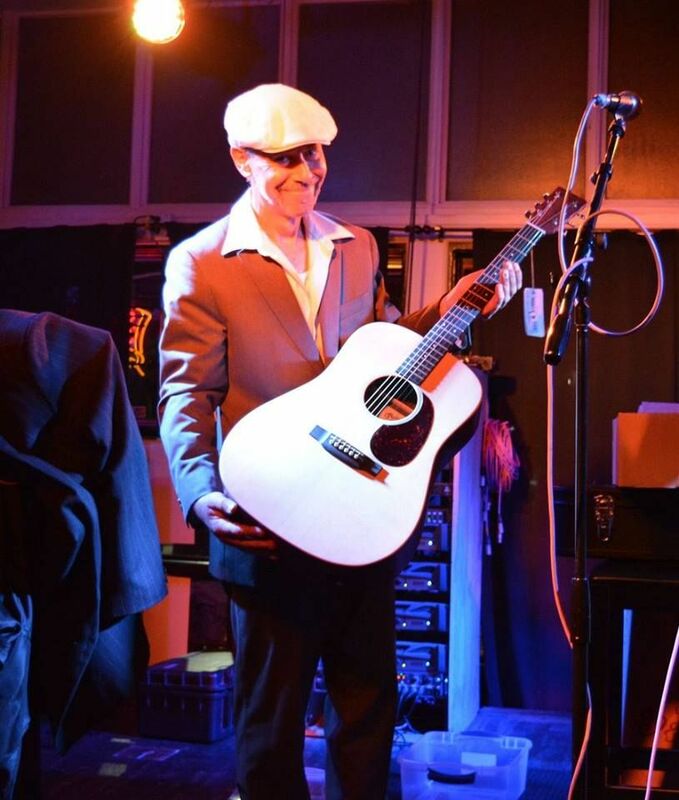 Winner of second Martin Guitar - Dave Martin! 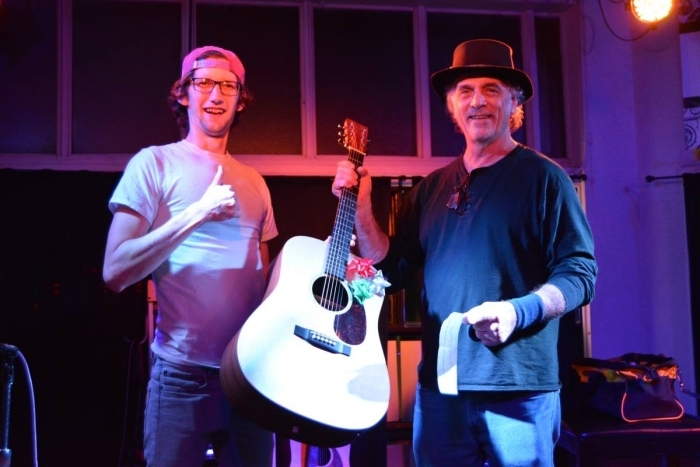 Winner of third Martin Guitar - Mark Jacoby! including a very cool vintage Yamaha 12-string acoustic! 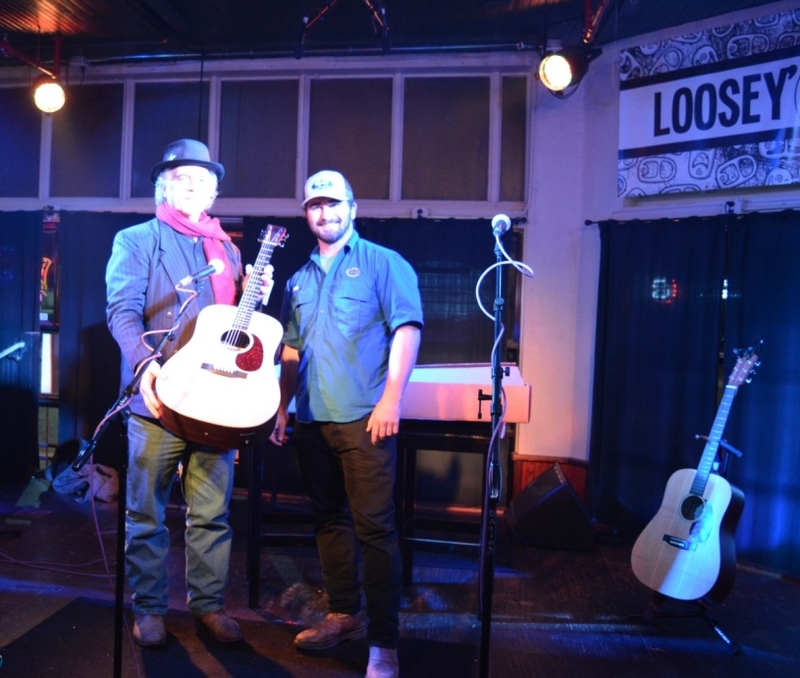 FIRST AND SECOND Thursday Every Month at Loosey's Downtown in Gainesville, Florida. Signup at 7:00PM and - music starts at 8:00-ish and goes until closing! Gainesville Open Mic Night "done right" ... Brand New Martin Guitar Giveaway!